Commenced in 2017, Ignite Institute of Creative Studies was the result of the honest attempt made by Sathish Kumar, Chairman and Shanmugam Reddy, Managing Director, who came together to enlighten the prospective learners who have a creative bend of mind with the appropriate boost to achieve success in the creative field. Although a young institute, acknowledging quality as its priority, Ignite has made a promising beginning in the design education space with a promise of honing a bracket of creative and young minds of the country who will be able to leave a remarkable mark in the design world in future with their quality of works. An ISO 9001-2015 certified institute based in Bangalore, Ignite Institute of Creative Studies is determined to provide its students the best possible design education, by adopting training modules that are appropriately suited to make aspiring designers industry-ready. The USP of Ignite is that it offers a range of courses, which suit students from all walks of life. The institute renders a chance to fulfill learners' aspirations and change career directions even at the age when they least expected to have any available options. 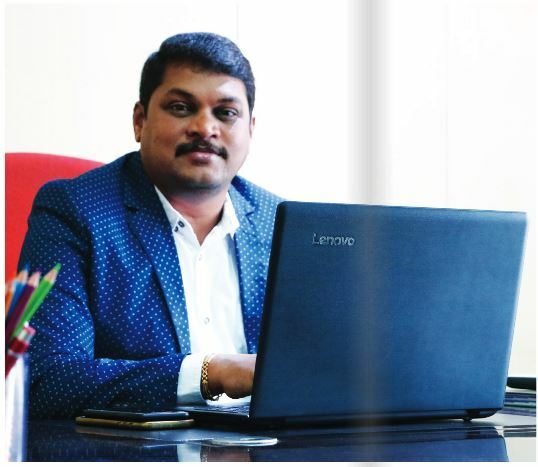 Sathish Kumar, Chairman, Ignite Institute of Creative Studies says, "From students of PUC to 10th standard or equivalent and from working professionals to housewives and alike, we strive to stand unto the expectations of all our students through extensive practice-based learning and flexible classes". As the receivers of Ignite courses are of varied age groups, the institute renders the freedom to choose class slots from morning, afternoon and evening classes, according to the learner's convenience. "At Ignite, the faculty members leave no stone unturned to gift the students the imperative skills, which will lead them towards the path of progression in their respective careers"
Ignite conducts its courses mainly under Four umbrellas - Interior Design, Beauty & Wellness and Fashion Design, Modelling For the interior design aspirants, the institute hosts a Master's Diploma programme, a professional course in Interior Design, Diploma in ID Graphix and Certificate course in 3DS Max, AutoCAD, Autodesk Rivit and Google Sketchup. Sathish pinpoints, "A good proportion of people, who do not have adequate knowledge regarding design, consider interior designing to be only involving with mere painting the walls with outrageous colors or choosing suitable cushions and curtains for a home. Whereas interior designing is an art of shaping spaces into places that are functional and beautiful. We are here to generate such competent interior designers who will be able to contribute to the country by solving its space issues". Affiliated to Jawaharlal Nehru Technical Education, the institute is also a partner of National Skill Development Corporation. "Our way of teaching is quite unique. Instead of following a conventional way of delivering education, we at Ignite believe in involving the students completely in the teaching and learning process, where both teachers and students are equally interactive and engaging," claims Sathish. Students at Ignite are taught right from the basics and are rendered optimum practical experiences. Coupled with classroom sessions, the students are motivated to undergo many industry visits and work on live projects, aiming to give them the overall idea regarding the professional life in which they are going to step in after the completion of their course from Ignite. It is proven that one-to-one instruction helps the students to learn faster and in a better way. Given this fact, the highly qualified faculty members of Ignite who are the alumnus of elite educational institutions ensure that each student is been provided individual attention. "Confining the batch size into only 10 students, the faculty members are motivated to identify each student's strength and weaknesses and transfer education accordingly. If any student misses few classes, we even give updation classes to them," shares Sathish. The institute also invites industry professionals from time to time for guest lectures. sathish adds, "If our interior design students have to understand a chapter on 'vastu,' we invite vastu professionals. For a chapter on the landscape, interior landscaping professionals will be approached. Both in-depth knowledge and hands-on experience are important for us". For the holistic development of the students, the institute provides personality development classes, where they are groomed on how to speak to customers, management skills, convincing skills and so on. "An interior designer has to deal with a range of customers on daily basis. It is indeed a very interesting and promising career prospect, but requires certain skill sets. We at Ignite focus of instilling those in them," opines Sathish. Creativity is what preached by the institute and on account of this, students are encouraged with utmost effort to brush up their hidden creativity by performing different activities. The institute provides all the materials that the students need during practicing and executing the given assignments. The students are actually sent to meet builders and customers, where they personally interact and deal with them, which give the future designers ample real-time exposures. The task of bringing life to the ideas and expectations of the client's dream house or office space is not a plain-sailing aspect, as the successful interior designers are supposed to have the confidence to execute their plans properly. At Ignite, the faculty members leave no stone unturned to gift the students the imperative skills, which will lead them towards the path of progression in their respective careers. "Roughly, India alone needs over 100, 000 interior designers; combining freelance projects as well as the jobs available in architectural and construction firms, and furniture companies. There are oodles of opportunities waiting for skilled interior designers in the market," opines Sathish. The students at Ignite are provided timely and productive career guidance, which prove to be of great help in allowing the learners know deeply about the pros and cons of their chosen career directions and unveil the secrets of achieving a bright career in the field. Being an interior designer is one of the handful professions, which allows the professionals often work in their own comfort zone, without having to spend long hours at the office. Ignite, along with bracing its students for the job possibilities, also instills the qualities of leading an entrepreneurial venture. Sathish says, "The certificates that we hand over on the completion of the course are internationally valid. We recently conducted a campus interview and it was a huge success. The overwhelming responses from the parents made us more determined towards our goal of excelling". Owing to the fun element in learning that the institute abides by, the students seldom miss any classes and are instead very regular and enthusiast in fulfilling the given task with precise interest. With the vision of creating technical manpower of international standards with capabilities of accessing new challenges, Ignite is planning to tie up with foreign universities and launch a few more centers in and around Bangalore in coming years. Sathish Kumar is a dynamic Businessman and a Director of K P Jewellery and Gems Pvt. Ltd. After completing his education, he has driven the immense success and trust that KPJ has built with its customers over the years. Under his leadership, the business spread branches in Karnataka, Tamil Nadu, and Andhra Pradesh and spread the roots of trust and happiness in countless households. As a Chairman of the Ignite Institute of Creative Studies, now he brings his expertise to the table to provide quality training in the fields of creative studies.